Well Vegan, the site I helped design and launch last month, is in full swing now. One of their most recent blog postings caught my eye as being handy, so we decided to use the content in a promotional postcard. 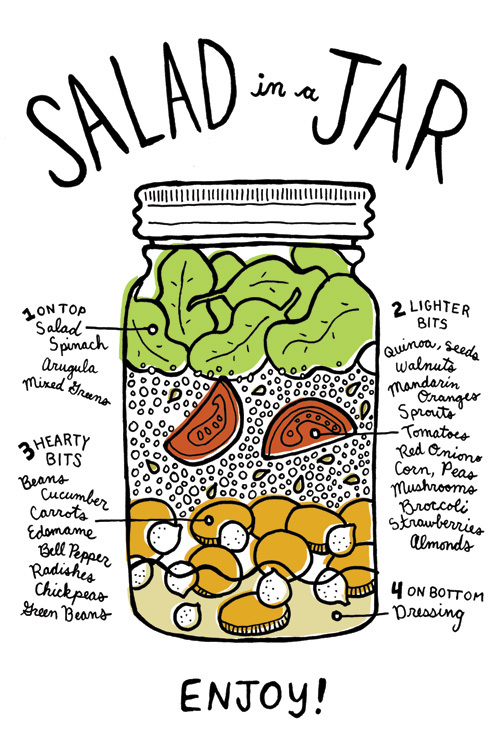 “Salad in a Jar” is a practical, and very cute, way to build and transport a salad without having it turn into a mushy conglomerate of soggy vegetables. It’s all in the layering technique – check out Well Vegan’s blog post for the full instructions on how to construct this healthy lunch-on-the-go.